Good afternoon everyone! We have finally made it to Friday and I am so ready for the weekend! We are fast approaching Valentine’s Day and while this year will certainly be a low key evening with my fur babies, that doesn’t mean I can’t have some fun with my nails. For one of Valentine looks this year I wanted to take it back to my teenage years. We all certainly remember sending those little love notes to those you were dating or had a crush on, we all had those notebooks with loving doodles on the cover, and we all thought we had the one. While the magic of childhood love may be a thing of the past, it’s fun to step back to sweeter innocent times. 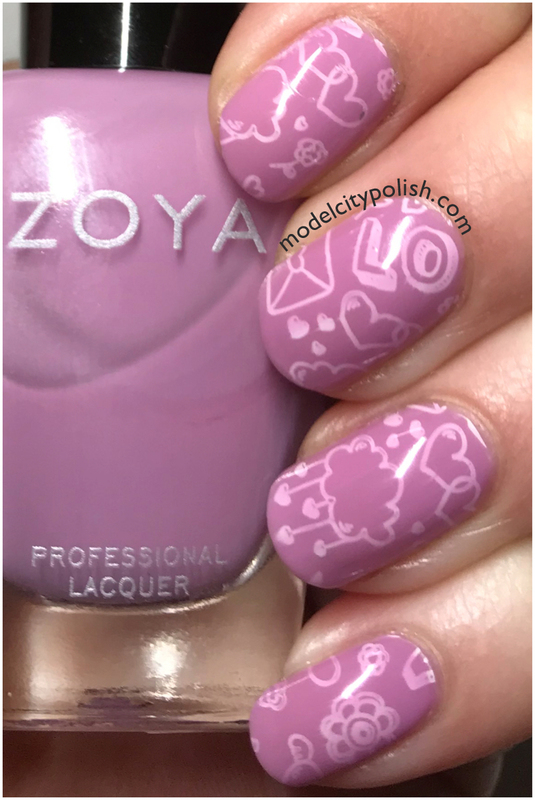 For my love notes mani I started of with two coats of Libby from Zoya. This is a great jelly blend and I knew I had to give a try at some jelly stamping so next I used white stamping polish from MoYou Nails and the Celebration Plate from Moyra. I then followed up with one more coat of Libby from Zoya to give that jelly finish and to tone down the white polish. Everything is then sealed with two coats of Marvel Liquid Macro Top Coat. Oh yes, the old yes or no check box letter!!! What a more simpler time!! Shorter comment this time: I love the cute Vday design, and I love jellies. Glad this one went through! Must have been a hiccup somewhere in the system. I don’t have a lot of jellies but the ones I do have I love! You make me so jealous that you can do this fab heart manicure and I have two left hands! Love the design. Awwww, thanks! I have been painting my nails non stop for about 30 years now so I have a LOT of practice!!! I love the image of the stamping! 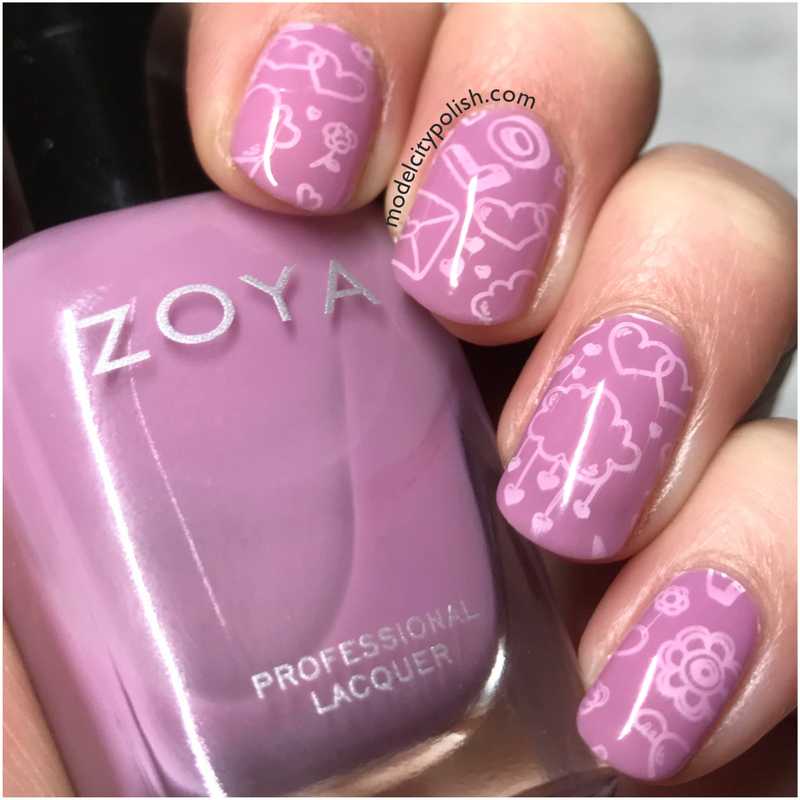 This Zoya is really pretty too – I need to pick up this shade! It is a super cute pattern and just perfect for the holiday! Awesome! I will have to be on the lookout for it!!! Thanks! I am so happy with how it turned out! I love how well it stamped! This is beautiful! It made for the perfect jelly sandwich for sure! This is my first time visiting your site, but I am so glad I came across it! I snooped around a little more than just this blog post and I really like your posts. I LOVE this stamp!! So happy to have you here!!! 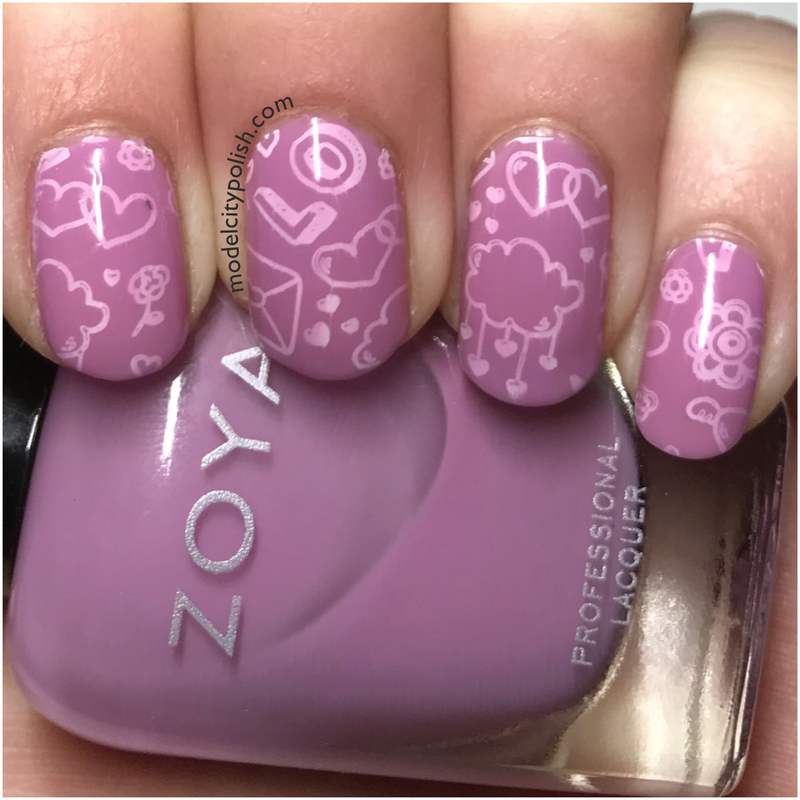 This is a really cute mani, I love how it turned out. MoYou has some great stamping plates! Thanks! They really do have a great plate selection! I love how you used Libby! I never thought about it that way. Thanks! 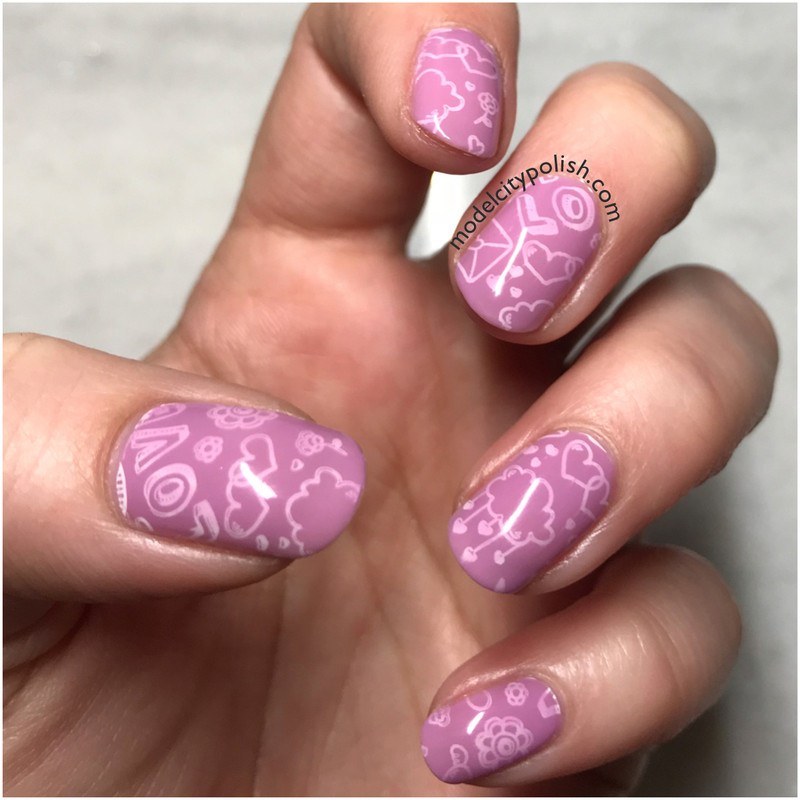 I wanted a more muted stamping so a jelly sandwich was the perfect solution!